Rev. Howard Jackson was born and raised in Syracuse, N.Y. He has been a lifelong active member of Bethany. He has taught Sunday School and Bible Study, coordinated Children’s Church, Youth Retreats, and the Van Ministry, and served as Chairperson of the Trustee Board, and the Diaconate Ministry. Rev. Jackson is married to Donna Satcher-Jackson and they are the proud parents of three children. Rev. Jackson holds a Bachelor of Science in Education from Colgate University and is employed by the Syracuse City School District. Rev. 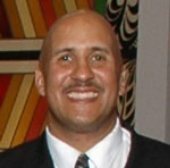 Jackson has been involved in coaching and organizing youth athletics in Syracuse for over twenty years, and believes that many of those experiences are helpful and effective in ministering to others. “Who is going to harm you if you are eager to do good? But even if you should suffer for what is right, you are blessed. “Do not fear what they fear; do not be frightened”. Rev. Kelley-Neal a resident of Syracuse, NY is a graduate of the Fashion Institute Of Technology in New York City and the Rochester Center of Theological and Biblical Studies Seminary in Rochester, NY with a Bachelor's in Christian Ministry. She is a retired City of Syracuse police officer having served 26 years. 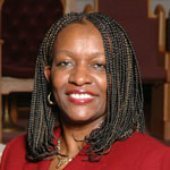 She has been an active member of the Women's Ministry at BBC and a board officer for the NYS American Baptist Women convention. Rev. 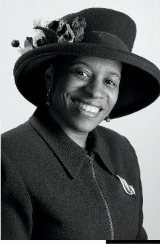 Kelley- Neal is an International Speaker , Sunday school Teacher, Bible Study Facilitator and Conference Workshop Presenter. Rev. Kelley- Neal is also the Founder and Director of GKN Ministries, which includes an inspirational web site where her mantra is: Enabling Women To Find Their Purpose and Develop Their Spiritual Development. Rev. Kelley-Neal is married to the love of her life Deacon Roy Neal. They are blessed to be both parents and Grandparents. "I will bless the Lord at all times, his praise shall continually be in my mouth. O magnify the Lord with me and let us exalt his name together! " Rev. Hodge-Davis is a wife and mother. She has been in ministry since 2003. She was licensed into the ministry in November, 2009. Her love for God’s people is abounding and shown through her love for the Youth of Bethany. Her spiritual characteristic often shared is, “it’s not about me, but all about HIM”. She holds multiple undergraduate degrees and is retired from the Syracuse City School District.